Do you want a versatile cutting tool that can be used to cut different materials and various shapes? Then you need to get a jigsaw and the right blade and this will serve the purpose. This is one of the most powerful cutting tools that you can have in your toolbox. You can use the jigsaw to make straight as well as curved cuts. This is especially ideal for intricate cutting tasks, besides the normal cutting, on a straight line. 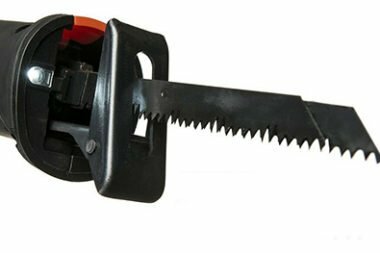 For instance, if you wish to make shapes with wood, or any other material, this would be the saw to use. As long as you can learn how to use a jigsaw, then you can do countless things with it. 1 What is a Jigsaw Used For? 1.1 What can you do with a jigsaw? 1.4 How to Make Specific Cuts with a Jigsaw? 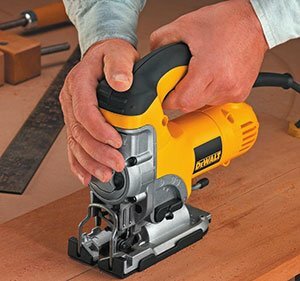 When you purchase your jigsaw, you can use it for a number of cutting tasks. This is known to be effective in making curved cuts and straight cuts. The biggest advantage is the fact that you can make cuts on different materials, including, plastic, wood, metal, stones, ceramic tiles and laminate among others. 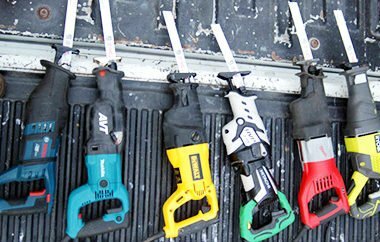 This is a safe tool and is easy to use and this is what makes it popular for most DIY projects. What can you do with a jigsaw? The basic material that the jigsaw will be used to cut is wood. This is a tool that is used by professionals to make specialized cuts. If you want to curve your wood, all you need it to mark out the shape and use the jigsaw to cut out the shape that you desire from. If you are professional that works with metal, then the jigsaw should be part of the tools that you own. This will be useful for cutting patterns and designs that appear to be somewhat complicated. There is an advantage of being able to cut very thin sheets of metal with this tool. All you need is to ensure that you clamp the meet properly for the cutting. Did you know that you can also shape the ceramic tiles to whatever shape that you need, with a jigsaw? However, this is an intricate process and needs some great skills and techniques. You will need to have proper clamping systems in place so that you can make the cuts easily. For those who are into DIY projects and consider installing some countertops, you should make the jigsaw your friend. This will be used to cut the countertop, to fit the sink area. Even when you need to make cuts that have sharp curves, the jigsaw will help you achieve that. These are some of the common cuts that you can make using a jigsaw. However, you should ensure that you have the right blade for whatever cut you intend to make. Using the wrong blade will only frustrate you and may end up causing serious injuries. When choosing blades, you need to ensure that you have the right tooth configuration, width and length of the blade. 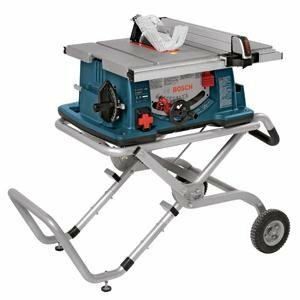 You can look at my guide on the best jigsaw blades. Ensure that you wear protective clothing, especially for your eyes as the debris can snap and get into your eyes. You should have an extension cord that allows you free movement and keep it away from the cut path. The shoe of the jigsaw is the metal base and this is what you will start by positioning. The tip of the shoe should be on top of the material that you intend to cut. You need to take note of the side of the cut line you wish to make the cut on, and this is where you will place the blade. When you start to make cuts, you should apply gentle pressure and not force the jigsaw. You should have a clear mind on the dimensions of the cut that you are making. As such, you need to measure your workpiece and mark the relevant places, so that you can create a clear cut line. Place the workpiece on a board and firmly secure it with a clamp, with the cutting area stretching beyond the work surface. Cut a starter hole on the stock. When you have done the necessary preparation, you should position your jigsaw for the cut. Insert the blade into the starter hole, with the shoe plate being flush with the board. It is important to ensure that the blade does not touch the board. At this point, you should start the saw and make the relevant cut. How to Make Specific Cuts with a Jigsaw? In order to make a curved cut, you will need to follow the cut line, while regulating the speed of the jigsaw. 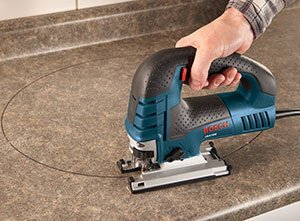 If you are making curved cuts on metal, then the speed should be much slower than when cutting wood. 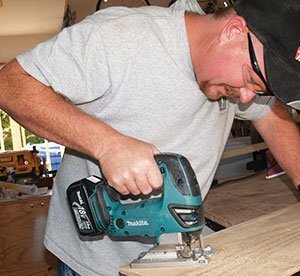 There are two methods that you can use to make straight cuts with a jigsaw. The first option is to use a guide, which the saw will follow, and ensure that the cut is straight and accurate. Ideally, the blades of the jigsaw are small and as such, they can easily wander and this is why it is critical to guide. You can use a piece of wood that is clamped on both ends of the workpiece as the guide to make a straight cut. The other option is to use a rip guide, which is an accessory that comes with a jigsaw. This will be ideal when you want to make a straight cut over a short length, and a few inches from the edge. You should never, at any point, force the saw to cut any material. When you apply to much force, the blade may snap and cause injuries. Keep monitoring your jigsaw as you are making cuts, as there is a tendency of the blade overheating, especially when used for prolonged periods. Take note that the jigsaw cuts you material by pulling it up. As such, the smooth part should be facing down, so as to have a neat finish. The blade should always be sharp so as to make the jigsaw work much better. 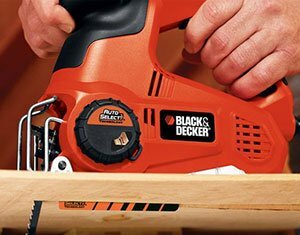 When buying a jigsaw, you should go for a model that has a variable speed feature, which makes the difference in the control you will have over the cuts. 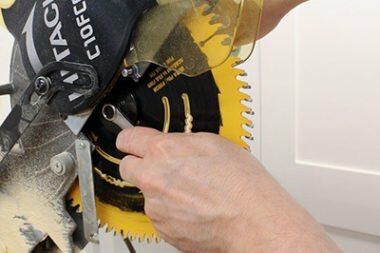 As soon as you finish making cuts, you need to allow the blade to come to a complete stop, before placing the tool down. Now that you have a clear understanding of how to use a jigsaw, it is just a matter of time, before you can master the tool. This is a versatile tool and is actually easy to use. 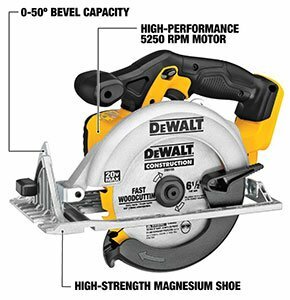 You have the advantage of being able to cut most materials with this tool. You can now make the most of your jigsaw by making different cuts, following this guide. Please feel free to share this guide in your circles and also leave a comment. Fantastic article and amazing explanation. How can I thank you cannot know? This tool is reduced my work very shortly. As a carpenter, my garage these tools help my daily work and increase the beauty of my wood furniture.